For students in Grade 5 and 6. For students in Grade 7, 8 and 9. This summer day camp introduces basic neuroscience training that focuses on developing good lab technique, designing experiments, and working independently with lab equipment. 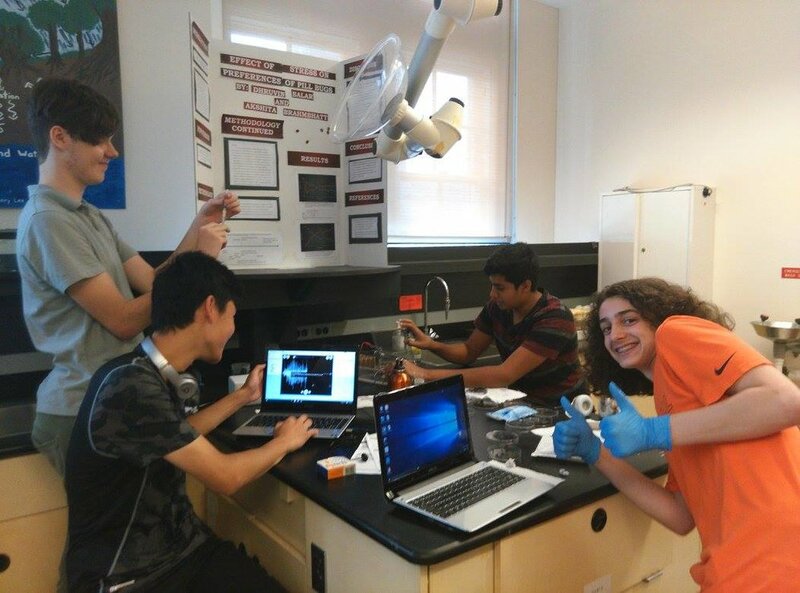 This camp develops an appreciation for the research process in neuroscience labs and develops critical thinking and design skills for a greater understanding of how science is applied. For students in Grade 10, 11 and 12. This summer day camp develops advanced neuroscience training for students in preparation for university. The focus is on independent lab design and experimentation to help students foster skills in data gathering and analysis. This camp simulates the environment of a research lab to give students a deeper understanding of how neuroscience knowledge is utilized in the world. Since 2014 we have been proud to offer students who have unlimited curiosity about neuroscience, but limited financial resources, the opportunity to attend Bright Lights in the Lab.In 2017 we are grateful to AstraZeneca Canada for providing support for three scholarships and thank them for their support.